M.A. Rosanoff: "Mr. Edison, please tell me what laboratory rules you want me to observe." Edison: "There ain't no rules around here. We're trying to accomplish something!" Cleantech is dead. Houston is booming, which means oil still reigns supreme. With Solyndra dominating the cleantech headlines, it's obvious the writing is on the wall for cleantech, right? Maybe, but maybe not. 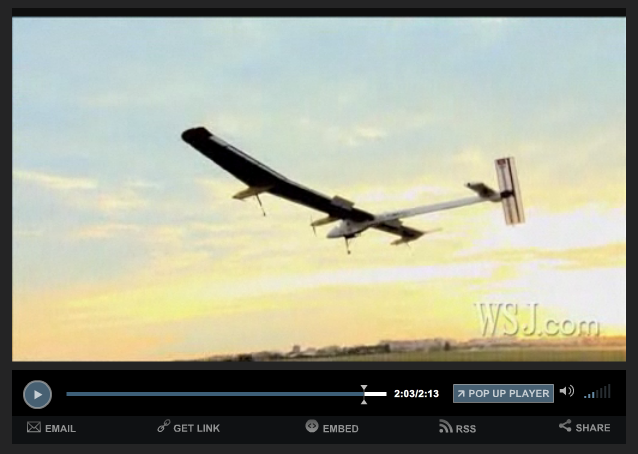 Perhaps Solyndra primarily did just that: Dominate the headlines. If it hadn't, maybe we'd all be more aware of the fact that the cleantech industry continues to grow quietly and, by many accounts, may soon surge. Those of us in Houston should not forget to look over our shoulder when the world seems to be our oyster. A key impediment to cleantech's widespread consumer adoption (and, to a certain degree, investor-attractiveness) is high costs. Arguably, as production costs come down, cleantech appeal should shoot up. That appears to be happening in many cleantech sectors, like LED lighting, batteries and solar technology. Real game changers could still be in the offing. Even if the world car fleet doesn't go all electric in the next decade, surely numerous technologies will emerge that, at minimum, will continue to improve our productive use of natural resources. Solar panels might be a bellwether example. According to Clean Edge, Inc, a cleantech research and consulting firm, solar panel revenues climbed from $71.2 billion in 2010 to $91.6 billion in 2011. Yet the real number of significance is not revenues, but installations - which skyrocketed over 69% in one year, made possible by a more than 40% decline in costs and prices. Perhaps it's the indication of strong potential to scale that, in part, caused U.S. venture capital investments in cleantech to rise 12% in 2011 . Combined global revenue for solar panels, wind power, and biofuels grew by 31% from 2010 to 2011, coming largely from double-digit growth rates for both wind and solar deployment, along with an increase in pricing for biofuels. The proclamation by some of cleantech's death could soon be revealed to have been premature, a mislabeling of the industry's normal insecure first years, as it finds its footing, gets weaned off government subsidies and prepares to move more and more into private sector hands. While costs continue to drop, imaginations continue to soar. Some day in the future, could we be flying around the world purely by solar energy and batteries? Might we be just a few cost-cutting evolutions away from another energy revolution? Even if it takes a generation to develop step change in battery or solar technology, where would that put Houston's hydrocarbon value proposition? Sure, we're not going to see dramatic changes over night. But even one that unfolds over a few decades can be dramatic in its effect. Just ask Detroit. Read on in the dedicated cleantech section in this month's TLV. Europe. Europe. Europe. Europe. Europe. Europe. Four years ago, Europe may have been laughing at Lehman's demise and our mortgage crisis. But today, the European Union sits on the edge of economic abyss. Greece has kicked the can down the road while Spain is now threatened with financial implosion. Everybody is being told they will have to change their profligate ways. Austerity is not just kicking in, it's kicking the backsides of citizens all over southern Europe. For how long will the Greeks, Portuguese, Spanish and Italians put up with economic despair so that Europe's banks can remain solvent? Where does all this end? When will crisis after crisis after crisis abate? Economic circumstances today remind me of a question...How do you solve a very very large and very very complicated problem? You do so by breaking it down into smaller more manageable parts. Ahhh...so what would that mean for the future of the European Union? What happens in Europe is very important to our own economy. Europe is our largest export market, so what do you think happens to our economy if theirs goes into a deep recession? Europe is also China's largest export market, so how will a European recession affect the global economy? The crisis of 2008 has not yet come close to a resolution, so everyone should be vigilant with his and her personal investment and career plans. The latest employment report out of the BLS was a huge disappointment. At closer look, it's a disaster. How's this for economic recovery - a mere 16% of the 2009-2011 high school graduates have found full-time employment. And how about this - the percentage of long-term unemployment in the U.S. is at its highest level since the Great Depression (42%). And did you know that 47% of Americans are on some form of government assistance? Sitting in Houston, one would think it's business and prosperity as usual, with long waits to get into popular restaurants and exotic cars on the roads. Recently I've been amazed at the number of out of state license plates driving around town. Houston's hot, but overall the global economy is still just lukewarm, which means the job market is too. What we have yet to grasp fully is the damage technology has done to our job market. Today's technologies allow jobs to move easily to the cheapest labor markets. Even more troublesome is automation's relentless drive to replace labor. Policy upon policy, stimulus after stimulus just can't seem to get a real organic growth cycle started again. What's wrong with this picture? Something for sure that even our brightest economic and policy minds can't seem to figure out. 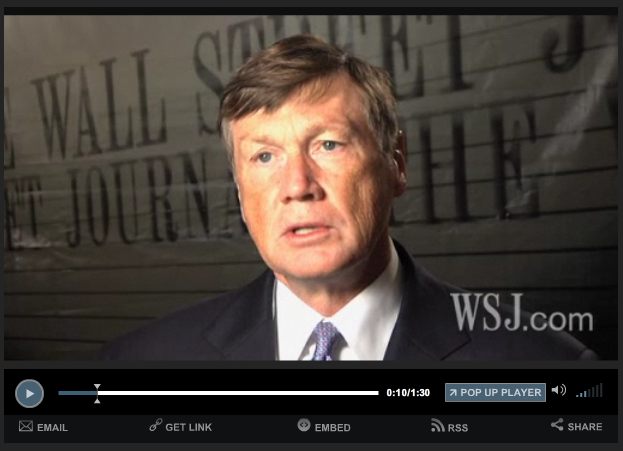 A recent Bloomberg article suggested that 14% of investment bankers on Wall Street did not get a bonus for 2011. "Huh," you ask? Yup, compensation is coming down in financial services. Manufacturing and service wages have stagnated since 2000. Now it's time for high-flying finance jobs to do the same. Welcome to the new normal. When did wisdom become conventional? I often chuckle when seeing the term "conventional wisdom." How can anything wise be conventional? Wisdom isn't something ubiquitously spread throughout society. Wisdom is, by definition, supposed to be understood only by a few. It takes tremendous knowledge, intellect and intuition to discern between what is wise and what is just conventional thinking. It takes wisdom to see that conventional thinking only gets you conventional results. How can one even have the time to develop a little wisdom when we're constantly bombarded all day, every day with information? Too much information is too much distraction. Too much distraction prevents a lot of folks from being able to grab a little wisdom. How can we noodle, cogitate, consider or evaluate when the onslaught of information is unceasing? Is it always wise to jump ship when your learning curve appears to have hit a plateau? Is it wise to take a cut in pay? Is it wise to compare your personal economic circumstances to people who have more? Is it wise to let your children get an education that doesn't lead to practical employment? Decision-making today seems to be getting harder and harder as access to information grows greater and greater. Has the ubiquitous information revolution made us smarter? Or has it just overwhelmed our information processing and reasoning ability? Good decisions can't be made when the fire hose of information is dosing you 24/7. Unplug. Nonfarm business sector labor productivity decreased at a 0.9% annual rate during the first quarter of 2012. The decline in productivity reflects increases of 2.4% in output and 3.3% in hours worked. From the first quarter of 2011 to the first quarter of 2012, productivity increased 0.4% as output and hours worked rose 2.7% and 2.2%, respectively. Manufacturing sector productivity rose 5.2% in the first quarter of 2012, as output grew 10% and hours worked increased 4.6%. Over the last four quarters, manufacturing sector productivity increased 2.3%, as output increased 5.3% and hours rose 2.9% - the largest four-quarter increase in hours worked since the first quarter of 1997 (3%). Manufacturing hourly compensation declined 0.7% from the first quarter of 2011 to the first quarter of 2012 - the first four-quarter decline in the measure. Private sector venture investment in cleantech saw a steep increase in the years preceding the recession. 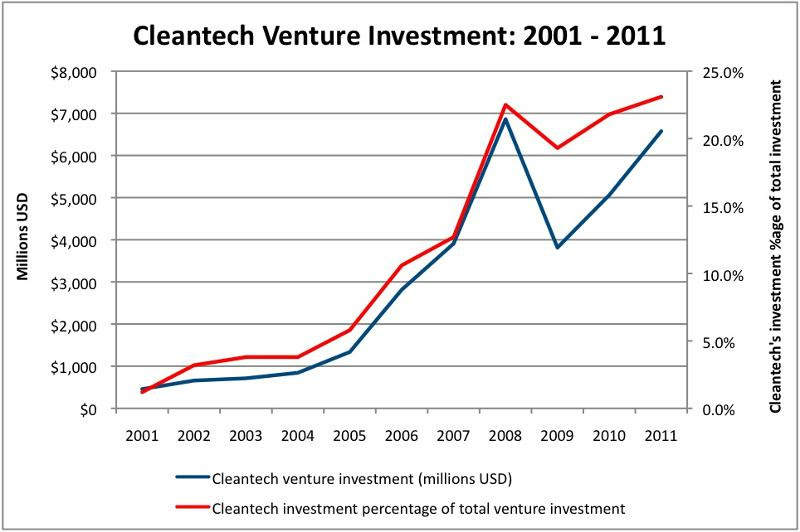 From 2001 to 2007, cleantech's percentage of total venture investment jumped from 1.2% to 12.7%. Investment rates took a hit after the 2008 crash, but have since completely recovered and then some. If only we could improve the life of batteries...Scientists form University of Illinois Urbana-Champaign in partnership with the Department of Energy have developed batteries capable of repairing themselves when damaged. The implications are prolonging the life span of batteries, as well as reducing the frequency of recharge, which would then extend the life of various battery-dependent electronics. Watch below for an explanation of the technology, as well as other battery developments coming from the University of Illinois. An Assistant Professor at Colorado State University just may have come up with the needed step change in lithium-ion battery technology. By redesigning battery architecture, Amy Prieto believes her batteries can charge 1,000 times faster than current technology, while also lasting through 5,000 charging cycles. Did you know the first electric vehicle was made in 1900? The Union of Concerned Scientists tracks automobile development and shows what's on the horizon for electric vehicles. Car companies are starting to get in the game in big numbers. Drive through the Bay Area, and you'd think Tesla was among the most popular sports cars. A drive through Houston paints a different picture. But with design and manufacturing improvements and expanded offerings, Teslas might soon begin cruising east of California. After all, 10,000 people have put themselves on the wait list for Tesla's Model S sedan, which debuts the end of this month. Did you know it can go 300 miles on a charge? GE recently debuted an LED light bulb that can last for more than 20 years. Compact fluorescents (CFLs) were once hailed as the energy-reducing game changer in lighting, so much so that they drove the call to ban incandescent light bulbs (which remains up in the air). Yet CFL's high costs and use of toxic mercury (not to mention, highly involved cleaning protocol if broken) dampened their traction. LED lighting is showing more promise. It is cheaper than CFLs and non-toxic, and uses far less energy than both incandescent bulbs and CFLs. Follow this link to see a side-by-side comparison of the LED lighting, incandescent bulbs and CFLs. For the second year in a row, Houston takes the number 7 spot for the EPA's list of the American cities with the most Energy Star-certified buildings. What is the appropriate role for government in cleantech innovation? If and to what extent government should use taxpayer money to invest in cleantech is certainly controversial, but also not black and white. Should the government do what it can to facilitate cleantech research and innovation? Should it outright fund it? Or should it entirely step out of the way and defer to the free market? Or are there hybrid scenarios where government and the private sector can work together? This perspective suggests that government needs to reduce redundancy and focus only on investment in areas that the private sector is not. Furthermore, this author believes that policy needs to move out of Congress and more into the Executive Branch and the Department of Energy (but with oversight). Lastly, he lays out a plan for a peer review-like process, akin to market testing and managed by the free market. It would work in tandem with policy makers to give the market a voice in policy-making, thereby not leaving decisions solely to government. Another perspective asserts that the government should stop issuing cleantech production tax credits; their short-term life spans and unpredictability are doing more harm than good, causing companies constantly to have to reevaluate and adjust to a new/expired/altered incentives. Instead of funding and issuing tax credits, this author suggests that governments should focus on passing mandates, standards and codes, and then letting the private sector figure out how to deliver on them. With year-over-year employment growing 2.2%, Austin took the number one spot on the Forbes' list of best cities for jobs. The bulk of Austin's job growth was in manufacturing and technology-related jobs and services. With Houston in the number two spot and Dallas/Fort Worth in the fourth spot, Texas cities held three of the top five spots. While giving negative feedback can be uncomfortable for everyone, Freddie Mac CEO, Charles Haldeman, stresses that it is both highly important and a mark of a leader's maturity. To criticize constructively most effectively, Haldeman suggests being highly specific, as well as addressing the issue immediately after it occurs. The authors of this article - highly regarded thinkers on creativity and disruptive innovation - have seen again and again that the mere act of a person thinking he or she is creative can actually make that person more creative. And the reverse is true. The article suggests that creativity and innovation are a choice. Read on for tactics to choose creativity and release blockages. Daniel Pink, author of the bestseller A Whole New Mind, speaks about a fundamental mismatch between what science has proven about motivation and what businesses do to motivate. Science repeatedly shows that carrot-stick rewards do very little to motivate; rather they create blockages that constrain performance. Only for highly mechanical tasks do if-then rewards motivate. Tasks that require more creative and conceptual thinking are more effectively completed in the absence of if-then rewards. Research repeatedly shows that giving people autonomy and a sense of purpose are the best motivators (in the presence of adequate pay). Ultimately Pink's point is to remind us that management isn't static. It must evolve to fit the challenges of our time. Pink believes that while carrot-stick incentives might have matched our 20th century challenges, they no longer match our 21st century challenges, which require less rote and more creative solutions. To motivate accordingly, Pink argues incentives must come from promoting autonomy, mastery and purpose. Last week's job numbers were undeniably bad. Bloomberg sets forth five reasons for why unemployment ticked back up, including, but not limited to: Europe's latest round of Euro panic and China's cooling economy; the pace of re-employment might actually be quite normal relative to other post-recession recoveries; jittery companies might once again be trying to squeeze as much as humanly possible from their employees instead of hiring.